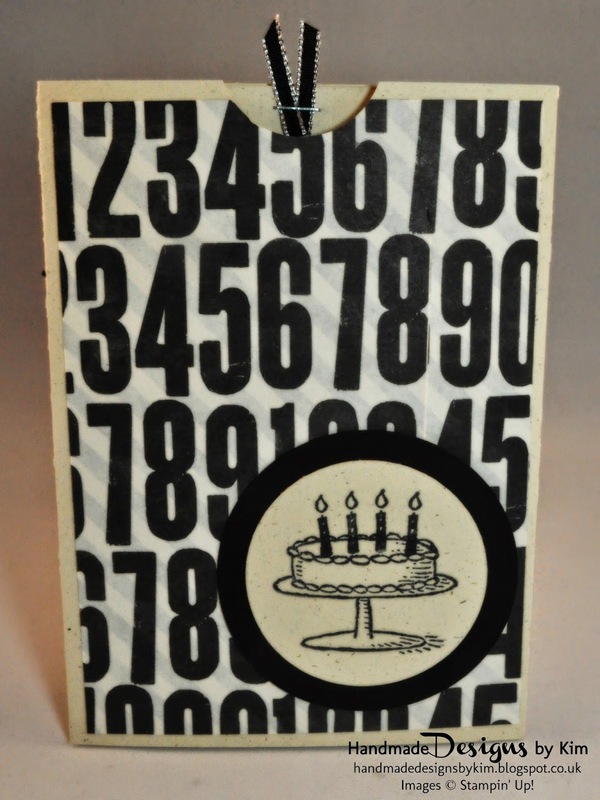 I wanted to find a style of card that my husband had never seen before to make as a surprise for his birthday. After searching Pinterest & Youtube, this is the result! This style of this card is called a Slider card and I was surprised how easy it was to make! I watched this Youtube video by US Stampin' Up! Demonstrator Dawn Griffth from Dawn's Stampin' Thoughts and followed it step by step. For my design, I chose to use the Ivory Naturals cardstock with the Typeset Specialty Designer Series Paper. I stamped the image and sentiment in Black Staz On Ink. 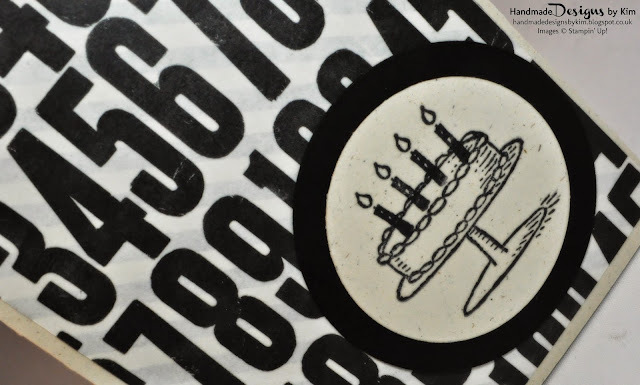 The inside of the card is attached to the birthday cake so the cake moves upwards when you pull the ribbon! 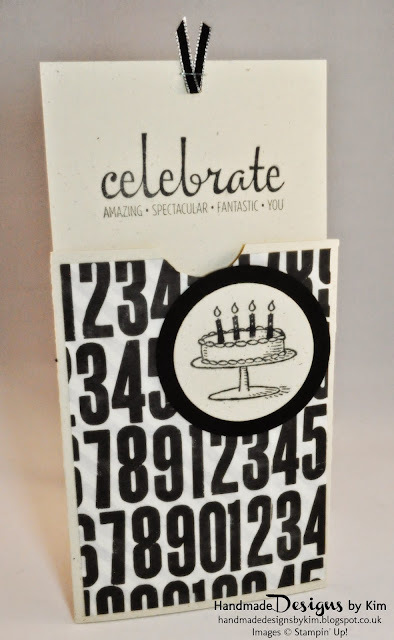 I absolutely love the Birthday Cake stamp from Big Day Stamp Set. Remember, you can earn this stamp set for FREE with any orders of £45 excluding P&P between now and 31st March 2015. Hi Jane, its so difficult making cards for men isn't it? My husband really liked it thankfully! Love these slider card design cards - great one for a feller too!! Super project. 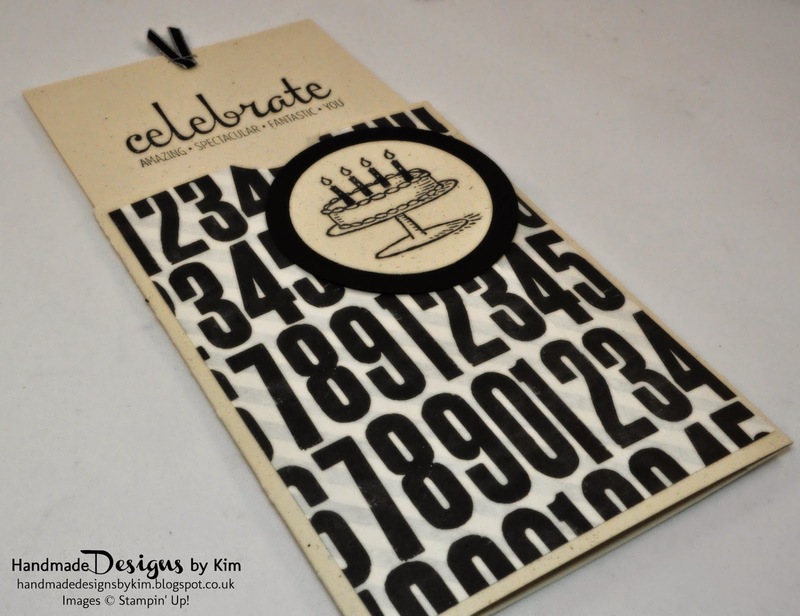 Hi Kate, I've made 3 slider cards since and will probably put them on my blog. Thanks for stopping by! Yes I love Black and Cream too! Thanks for your comments! I may attempt the window version soon now I've mastered this one, thanks for your comments!